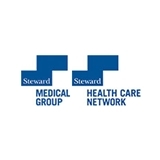 Steward Medical Group (Chestnut Hill) - Book Appointment Online! Dr. Paquette has been my PCP/internist for 2 years and I really like him a lot. He's a bit old fashioned which is refreshing and I prefer it. He's an excellent diagnostician and is very interested in promoting health.